The China Institute for Actuarial Science (CIAS) was established in 2003 to create a unique centre for research and advanced training in actuarial science and insurance at the Central University of Finance and Economics (CUFE), Beijing, China. In 2004, the CIAS was formally recognized by the Ministry of Education (CHINA) as the only key research institute in China in the fields of actuarial science and insurance. Prior to establishing CIAS, the CUFE has a long history in promoting and advancing actuarial education in China. 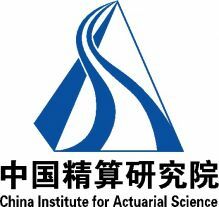 In 1992, the CUFE became the first university in China that adopted the professional actuarial syllabus of the Institute and Faculty of Actuaries (UK) in training Chinese actuarial students. Currently the CIAS has 22 members who are active in research and teaching. The CIAS promotes collaboration and co-operation among its researchers and private sector partners through conferences, seminars, workshops, and meetings. to establish an international network of pensions researchers from a variety of disciplines to provide expert independent advice to the pensions industry and government. The economics of individual and corporate pension planning, long term savings and retirement decisions. The investment management and investment performance of occupational and personal pension schemes. The actuarial and insurance issues related to pension schemes, including risk management, asset liability management, funding, scheme design, annuities, and guarantees. The legal aspects of pension schemes and pension fund management. The operational aspects of running pension schemes. The practice and ethics of selling group and individual pension products. The implications of aggregate pension savings and the impact of the size and maturity of pension funds on other sectors of the economy (e.g. corporate, public and international sectors). Domestic and EU social policy towards pension provision and other employee benefits in the light of factors such as the Social Chapter of the Maastricht Treaty and the demographic developments in Europe and other countries. Research disseminated by the Pensions Institute may include views on policy but the Pensions Institute itself takes no institutional policy positions. The College of Commerce at National Chengchi University (CNCCU) is always the center of business education in Taiwan. 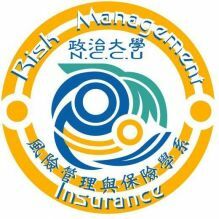 The Department of Risk Management and Insurance of CNCCU is the leading department in the fields of risk management and insurance in Taiwan. Our department is dedicated to building a learning environment that merges stressing theoretical knowledge as well as hands-on practical experience. Through access to remarkable faculty and a strong network of insurance industry, our department equips students with professional risk management knowledge, innovation skills and global perspectives.